Who Will Save the Planet? 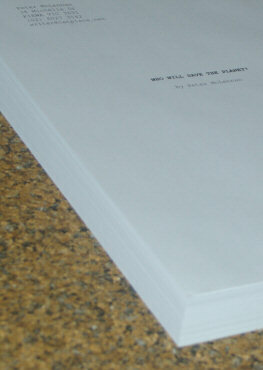 is a novel for young adults about one student’s fight to get something done about global warming. See more here. In this sequel to Who Will Save the Planet?, our hero finds himself on the battle-lines between a logging company and a group of environmentalists. See more here.